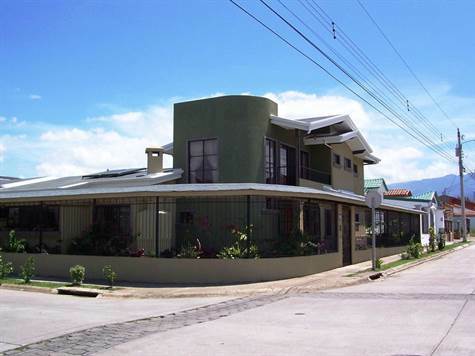 This B and B Fabulous five bedroom home with office and four and half baths for sale in Santo Domingo de Heredia. Enjoy your morning Costa Rican coffee on the terrace with a bowl of fresh papayas, mangoes, bananas, pineapples and strawberries and local pastries, while you admire Bibi’s fabulous garden. Visit the volcanoes; rainforest with canopy tours; butterfly farms; Pacific coast resorts or laidback Caribbean hotels; large turtles’ nesting grounds or the Gold Museum, all with in an hour or two. Call me for more details.